Sharpening is a part of maintenance. So, it is always better to perform this act while refueling the chainsaw. 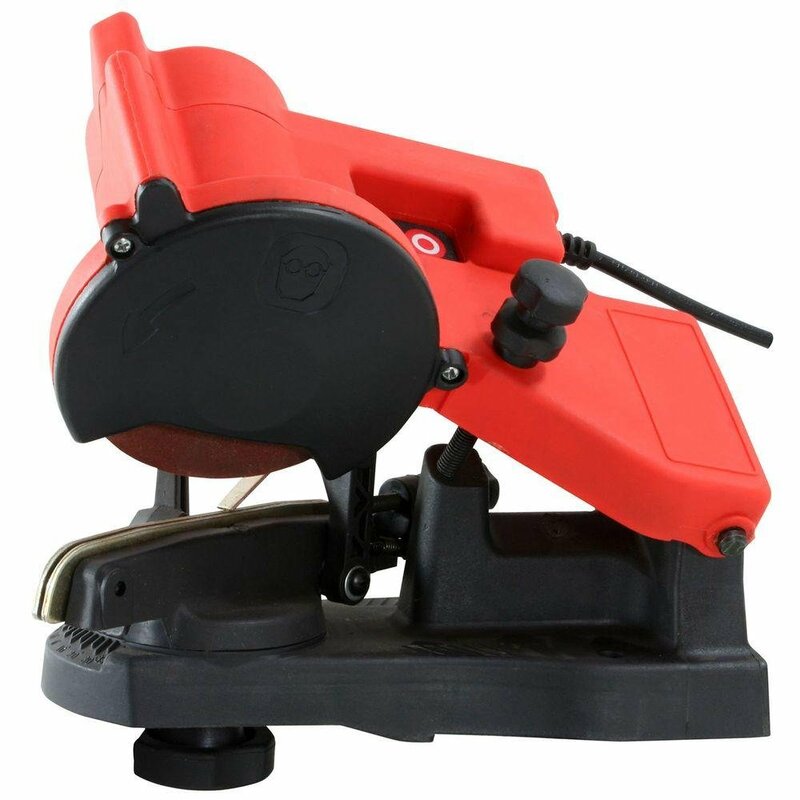 It can be done both manually or by powered chainsaw sharpeners like the electric chainsaw sharpener and gas-powered sharpeners. You will need to sharpen the chain when it begins to no longer self-feed itself; when it is properly sharpened the saw will just pull the chain straight on through. When you start to actually push the chainsaw to make a cut then your chain is not being feed through as it should be. Solve this problem by sharpening the chain and cleaning it out. Another time you will have to sharpen the chain for the saw is when the discharge from the saw is dusty; when the chain is sharp the discharge will be nice wood chips that are square in size. When there is dust instead of chips you need to get the chain sharpened as soon as possible for better use and cuts. Look for a lot of shine; when there is a lot of shine it means the chrome plating has been worn out and the steel has been revealed, this messes with cuts big time. To get rid of the shine you will need to file the steel until there is a small overhang of chrome back where it belongs. Doing this gets you all sharpened up and ready to go for any project you have at hand. After you have done this you can begin to sharpen the chain for the saw; you want the chain to be cleaned and looked over first to be on the safe side, it is better to see what all you working with before you begin instead of just jumping in and not having all that you need to get it done the right way or at all in the first place. Place your file right in the notch that is found on the front side of the cutter. You need to be sure to hold the file at the same angle that was used on it from the start. Take the file and move it across the face of the cutter, use a slight twisting motion when doing this in order to get the metal chips removed. Work with every second tooth from the one you started with all the way around. Turn to the other side of the saw and proceed the same way but with the teeth that were not filed the first time around and be sure to go in the other direction as well. Now you need to look over the clearance of the rakers, or otherwise known as the depth gauge; this is the curved hook that is between all of the cutters. If there are any rakers that are interfering with the cutter they need to be filed down. The easiest way to point this out is to look for one that is sitting higher than the rest. Lastly oil your chain and make sure the tension is correct, you want to use a lot of oil, like soak the chain with it and then you should be able to go back to cutting again with no problems at all. 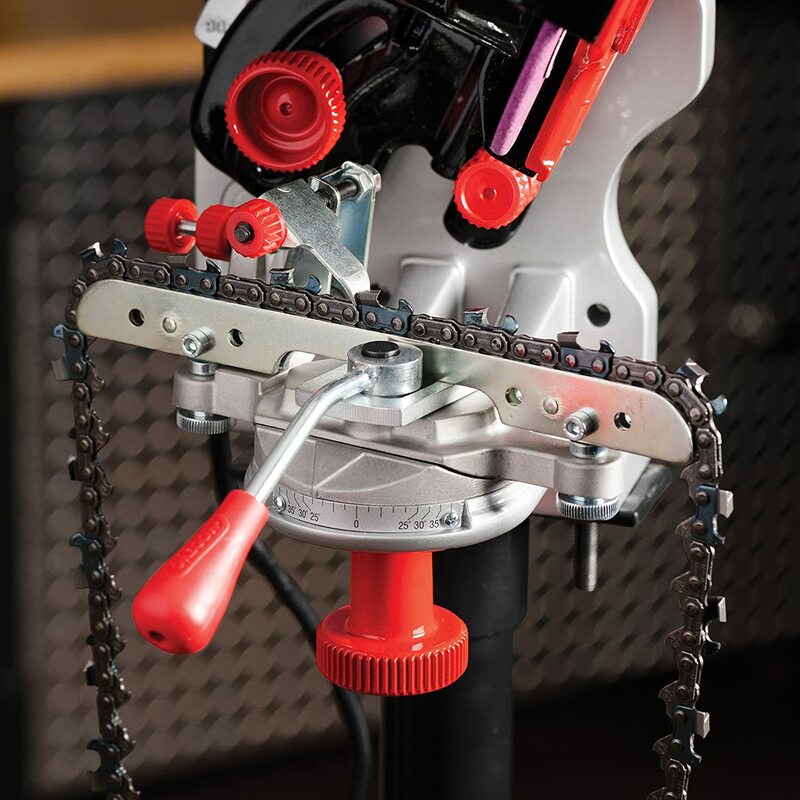 Using an electric chainsaw sharpener for the chain on your saw is best because it is more accurate, faster and safer. However, it does work simply just as a handheld tool works. When it comes to the powered version there are several to choose from such as ones that are portable and run off the car, ones that are powered by batteries, or one that plug into the wall. Compare and contrast to see what you need versus what you want and have a budget to work with from the start. Are Electric Chainsaws Meant For You?